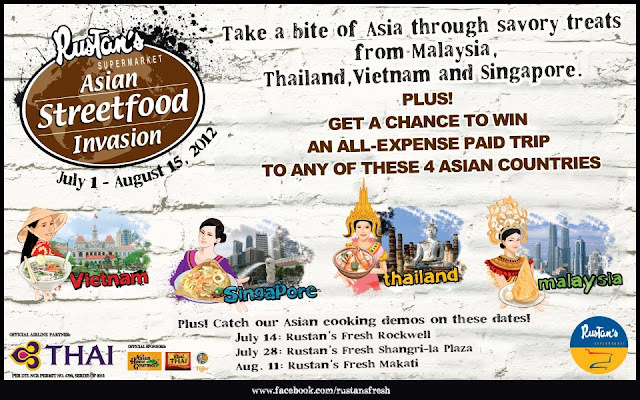 In this post I will be featuring our recent brushes on Asian Culinary that is becoming a fad this month of July. Just so timing for me that I was able to indulge on these from the start of July till this day. 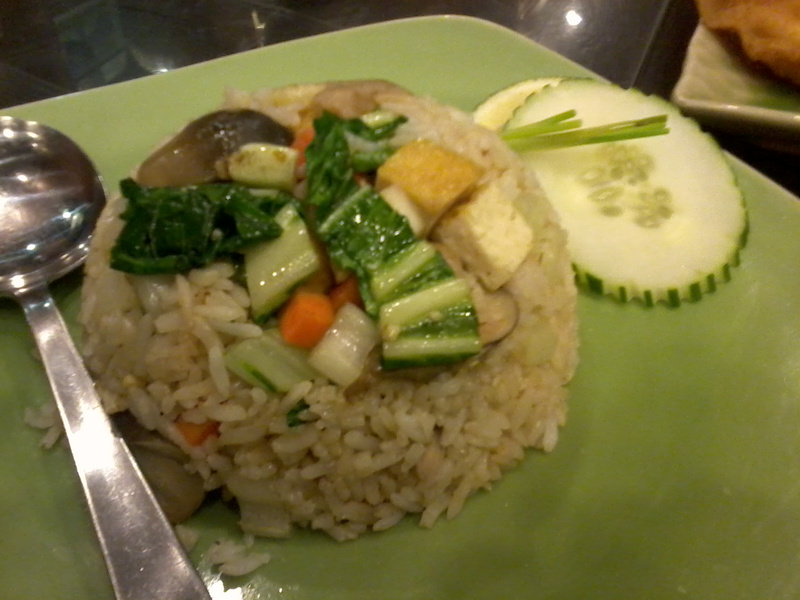 Though I may not be able to give a concise review, I hope a rundown of some restaurant that I've tried dedicated on a particular Asian cuisine would suffice your cravings for some South East Asian dishes. If these cab help, you may want to read my feature about it here. Four countries in my plate. And the dessert, truly Asian. Before you enjoy an authentic Thai cuisine, begin with a handful of spiced fried peanuts and some rice chips. We didn't mind the wait (which was quite short) at all, since they have a very stylish and modern interior. Wall breathed with purple silk fleur de lis, patterned black and white tiled floor, ergonomically and space-saving wooden tables and chairs, and how could we miss the hanging lamps jazzed in a black cage-like encasement and huge black tassels. A good mix of greens, black and dark to light shades of purple. 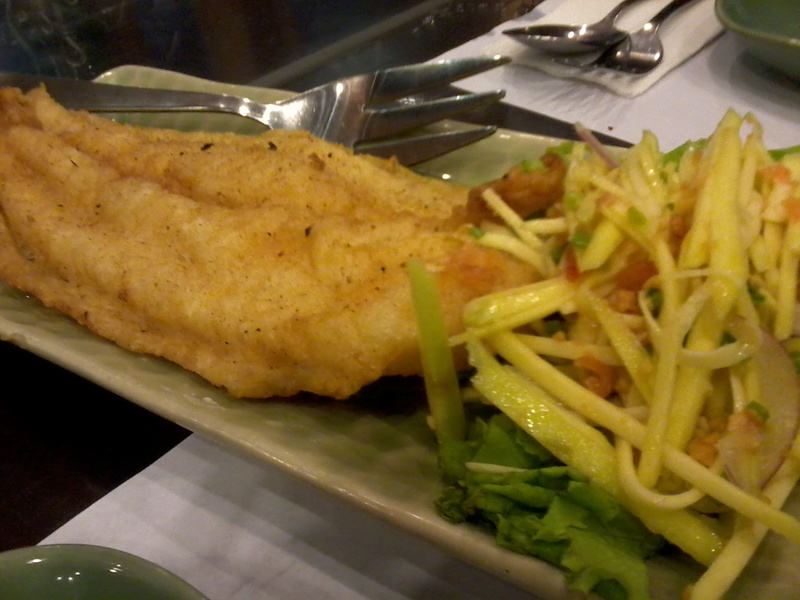 Crispy Fish Fillet with Mango Salad. For only P228, a big serving of this nicely seasoned fried fish is just about right for two people. 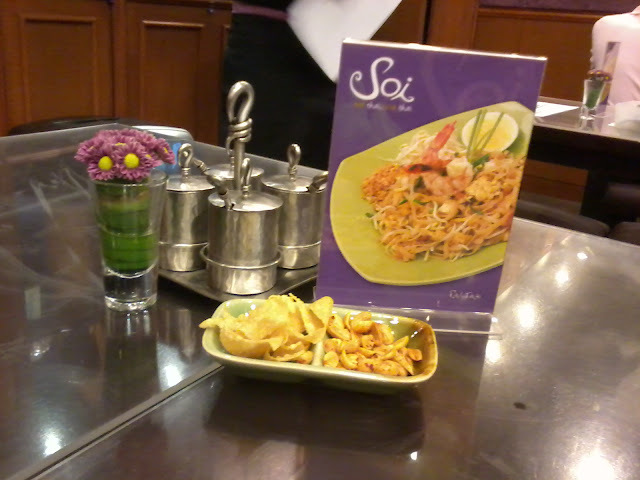 A good serving of green Mango salad well complimented the fried dish. Get to watch cooking Demo and buy hard to find Asian Cuisine ingredients at Rustan's supermarket. Check the picture below for some details.